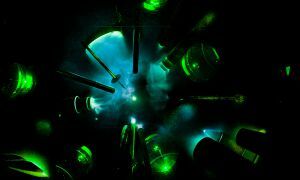 Scientists at the Massachusetts Institute of Technology and the University of Rochester blasted a deuterium-tritium pellet with 60 laser beams to turn it into plasma. The energy output of that type of experiment depends on delicate variations in how the lasers pulse, so the researchers fed fusion simulation data into a machine learning algorithm and used its suggestion in a real life experiment. “This was a very, very unusual pulse shape for us,” said Michael Campbell, the director of the university’s Laboratory for Laser Energetics, in a blog post. The result was promising: in a new paper, the researchers describe how it tripled the previous record for direct-drive laser fusion. The next step, the researchers say, is to try again with a bigger laser.